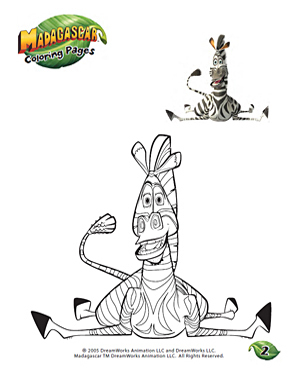 Marty is the funniest one among the Zoosters and he sure knows how to have fun! This free and printable JumpStart coloring worksheet for kids catches Marty in one of his moments, being his usual funny self. Fill in his stripes with the right colors and watch him cheer up further. Use either crayons or markers to color within the lines. You can also check out our Color Marty – 1 page.